A thermonuclear war, a zombie virus outbreak, or an alien invasion — whatever may arrive, the world population will most likely deplete by less than half. Due to this deadly possibility, many people struggle to figure out on how they can live through the harshest times. 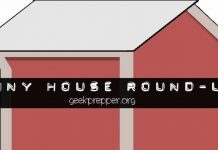 If a catastrophe that can eradicate humanity happens today, did you prepare enough to survive? Things may not go the same way as your favorite prime time series. 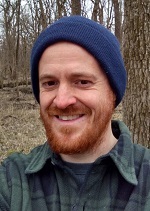 Although you can take advantage of the tiniest opportunity to run, find an ally, and make a barricade, your chances of survival above the ground remains at a slim ten to twenty percent. An underground shelter provides a better hiding place, increasing your chances to live through war, pestilence, and famine. When country leaders fail to stop a nuclear war or a mad scientist spreads an airborne virus that can turn every living being into a flesh-eating zombie, a perfectly shielded underground place filled with complete amenities is exactly where everyone would want to be trapped into. 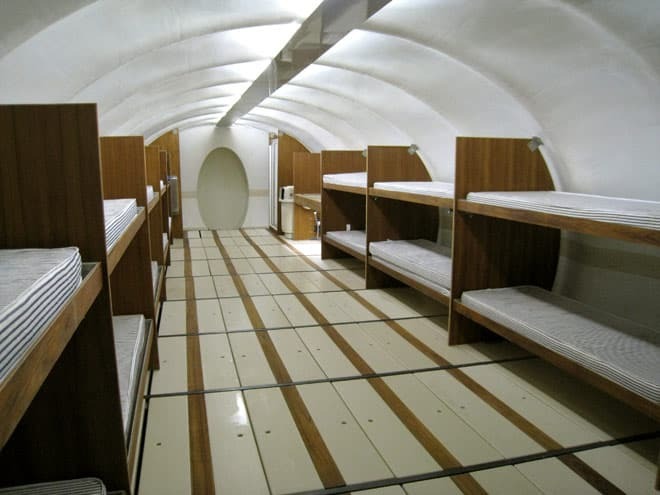 Surprisingly, such dreamy, luxurious, and sci-fi-like underground bunkers exist in different parts of the world. The existence of these incredible underground bunkers serves as proof that some lives will go on. Despite some crazy war freaks or aliens wreaking havoc in the face of the Earth, a privileged few may survive effortlessly and breed the next generations of humanity. This is a possibility some families and communities are preparing for. 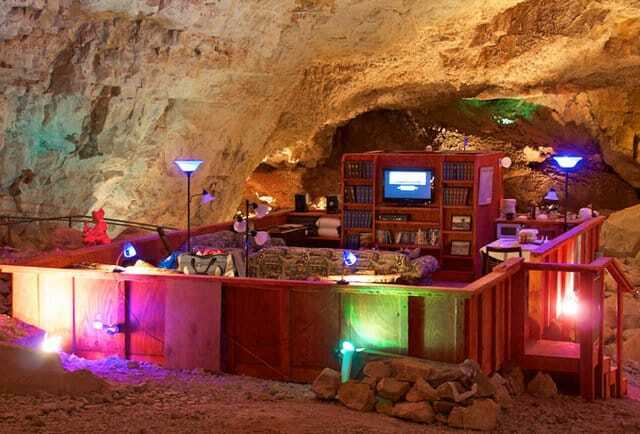 We gathered ten incredible underground bunkers that can provide years of shelter. 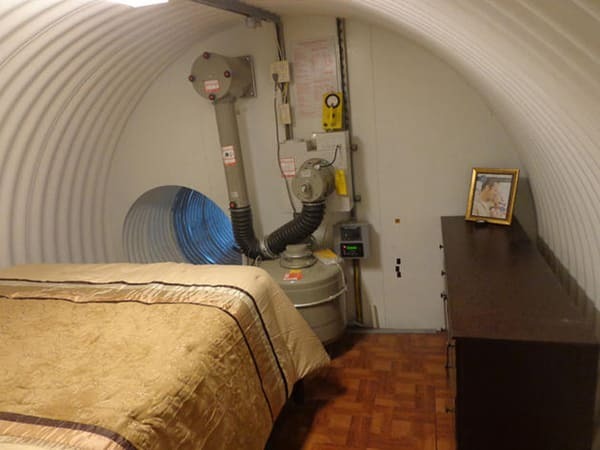 If you have some cash to burn, consider investing on tough, nuclear-proof, underground bunkers. Make sure to stock up with food, water, and electricity that will last for many years. 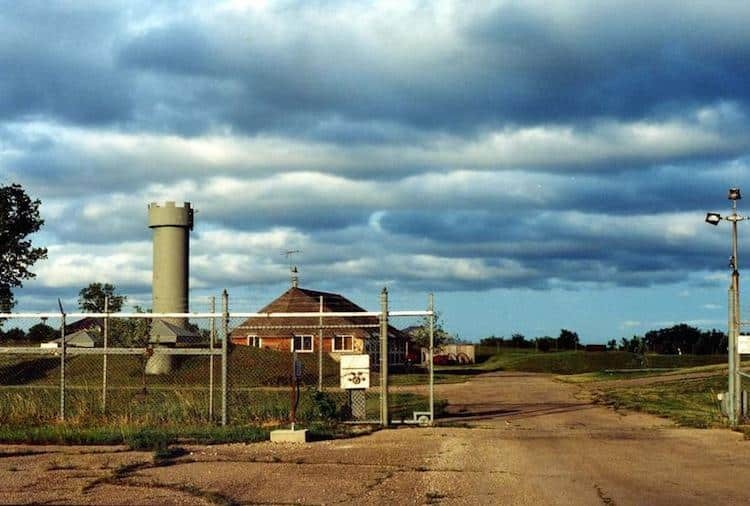 In 2008, former network and data centers developer Larry Hall, purchased an unused missile silo for $300,000 and transformed it into a doomsday bunker. This luxury apartment underground will serve as shelter for people who don’t want to become casualties in an apocalyptic event and owns enough cash to burn. 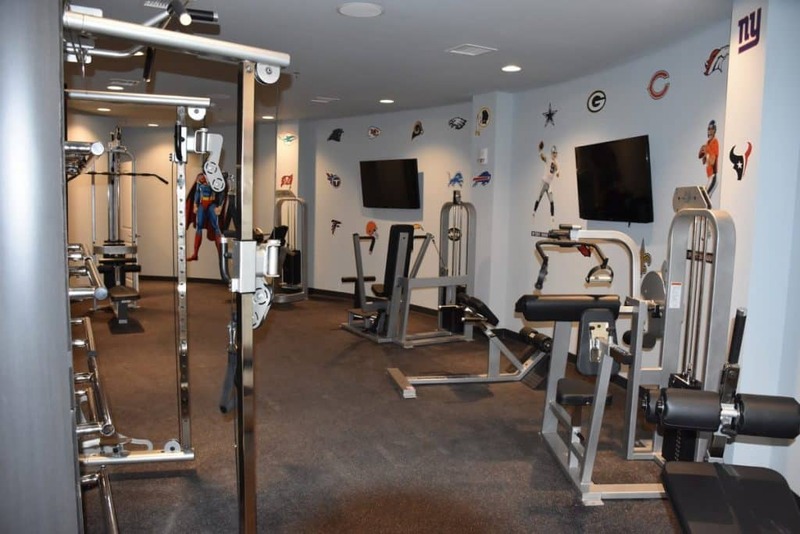 The whole facility cost $20 million dollars to build and can accommodate up to a dozen families. 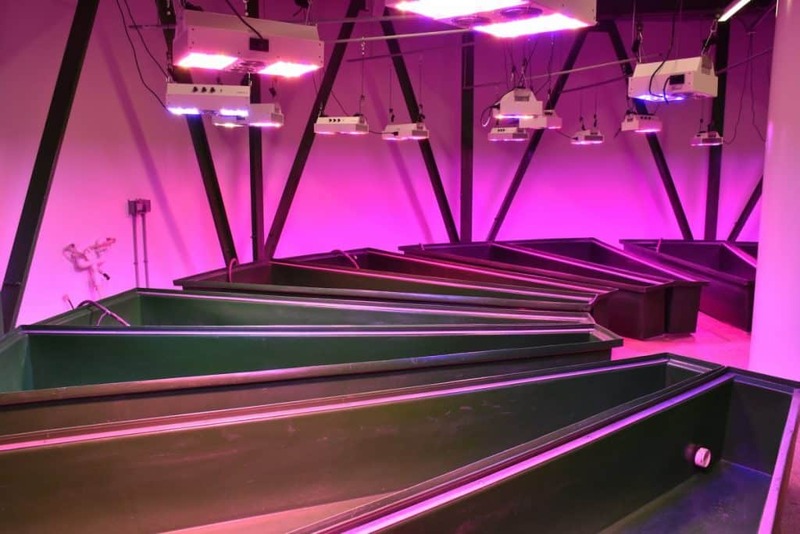 For the years to come, residents can get food from its food stores, fish tanks, and garden planters with grow lamps. 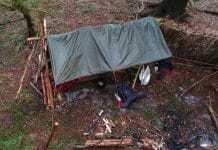 Apart from a safe home to spend a few years in, the Survival Condo Project also offers five year supply of food per person, mandatory survival training, and internet access for every purchase. The location of this underground luxury condominium remains as a top-secret. But Larry Halls says it hides somewhere in Wichita, Kansas. Probably covered by rolling hills and farmland. 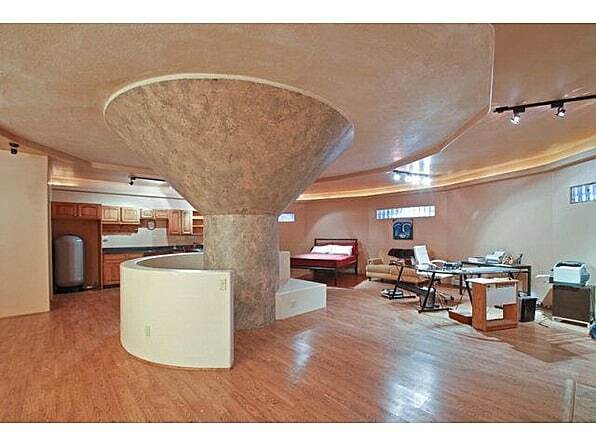 The silo served as a previous home to a nuclear warhead that can withstand a direct nuclear hit. The Survival Condo Project has 15 floors divided into 12 family homes including general access areas and space for operations. A full-floor unit which costs $3 million measures 1,820 feet, a bit bigger than one-thirds of a basketball court. 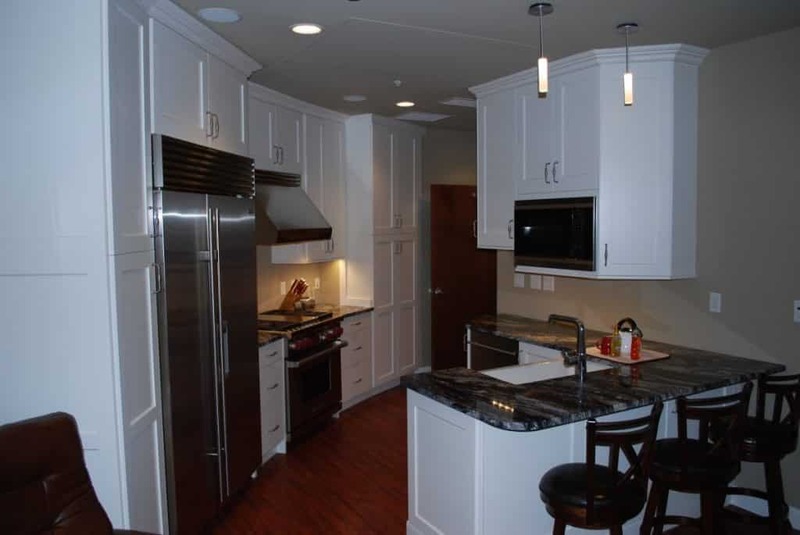 Each units include three bedrooms, two bathrooms, a kitchen, a dining area, wash & dry area, and a great room. Larry Halls also said that when North Korea conducted some nuclear testing, he received a surge of calls from people who would like to purchase unit. 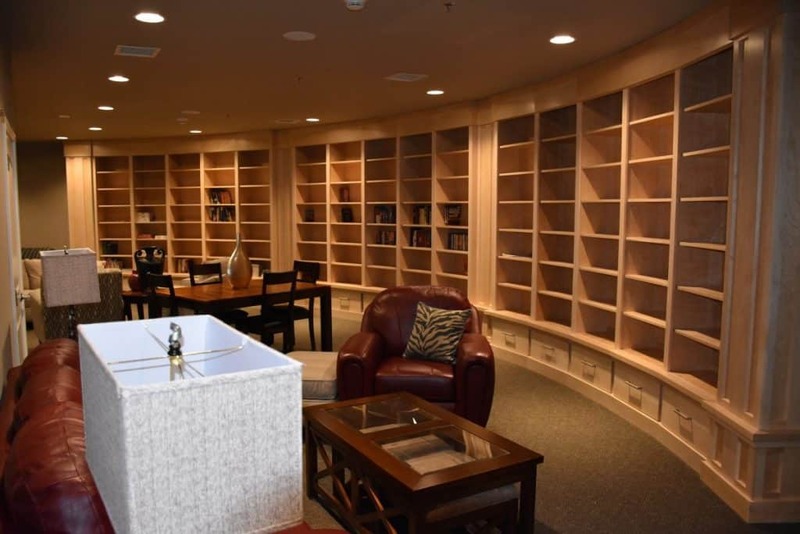 Located somewhere in Tifton, Georgia, this two-story, 12-bedroom underground bunker serves as the ultimate escape pod from all the worries in life. With a total tag price of $17.5 million, this doomsday shelter promises not just safety, but also high-end entertainment throughout the entire apocalypse. 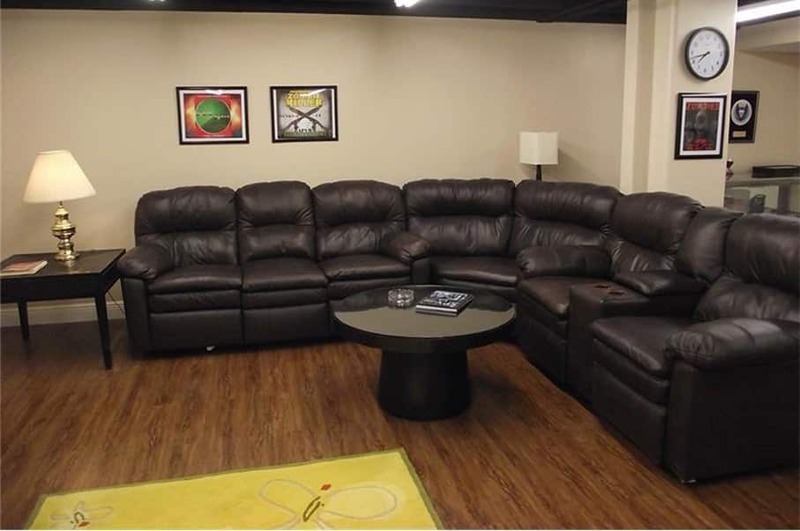 The luxurious underground doomsday bunker will help you forget about everything with its entertainment facilities such as conference room, computer room, home theater, commercial kitchen, workshop room, recreation room, and a library. Also, you will remain connected to the internet through 2 DSL technology. 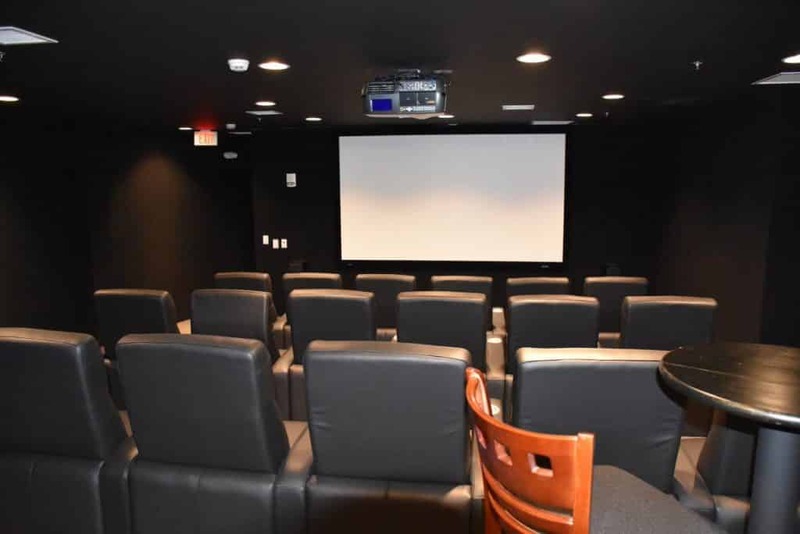 The fortress does not only showcase its dreamy amenities, but it also guarantees safety against asteroids, chemical attacks, nuclear explosion, zombie outbreak, and more. 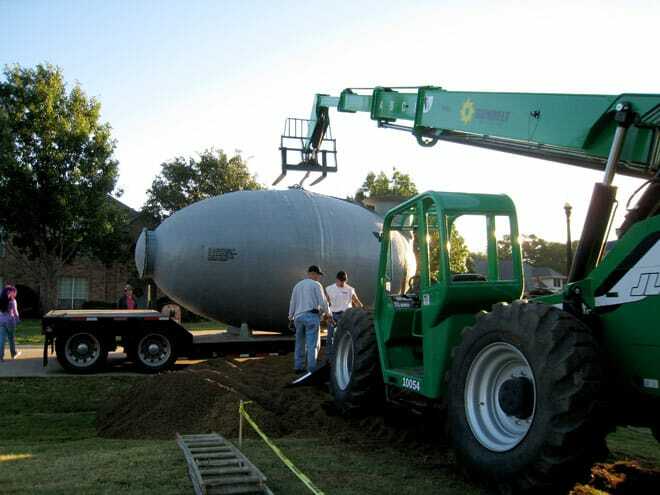 Its three-foot upgraded concrete walls can withstand a 20-kiloton nuclear blast. 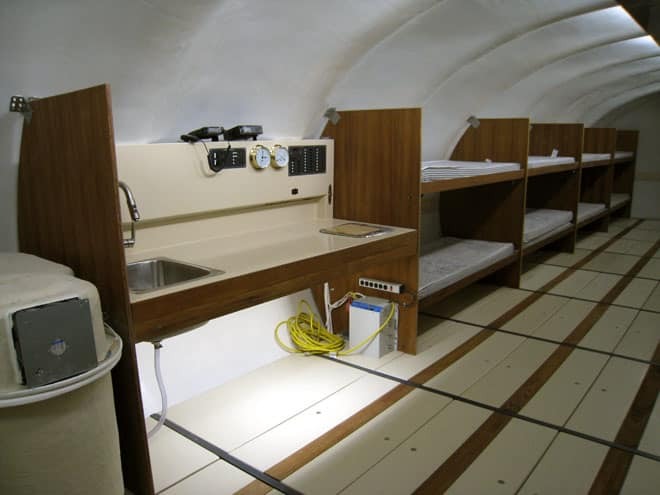 It is also equipped with decontamination showers, solar power backup, private water systems, secure air intake and HVAC. 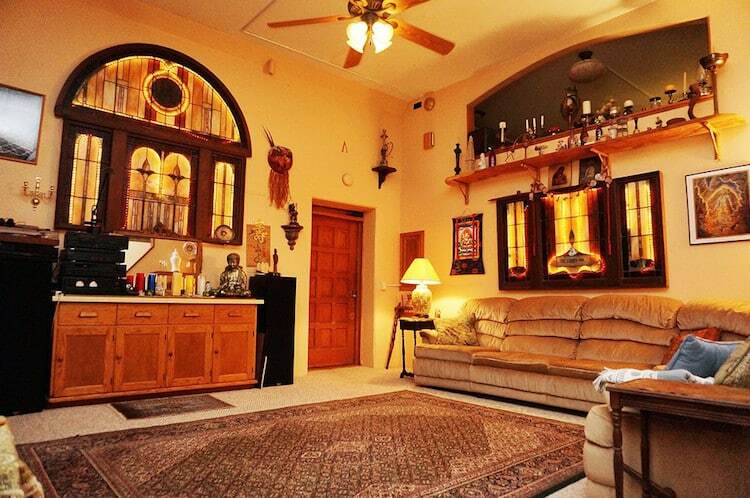 The design may not appear as the coziest and fanciest. But in an apocalyptic world, you’ll never find anything like this. 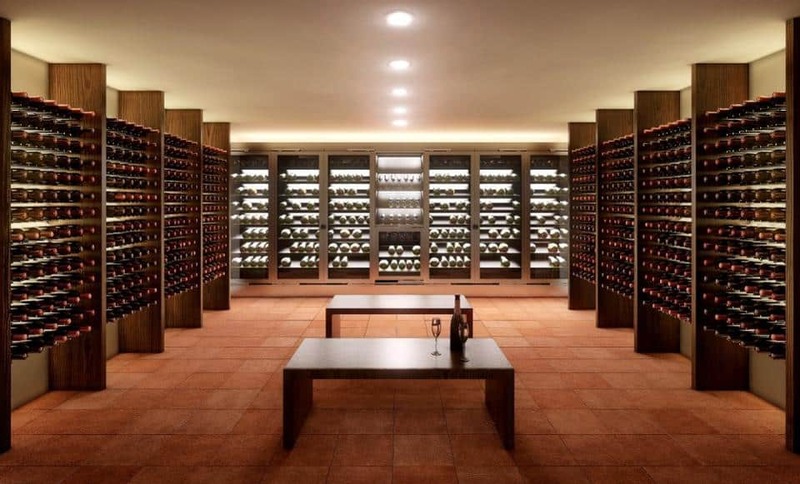 Take a peek on what’s inside of this $17.5 million worth of underground bunker. If you can’t burn millions of dollars to have a safe place to hide during the end of the world, you can turn to the Atlas Survival Shelter. 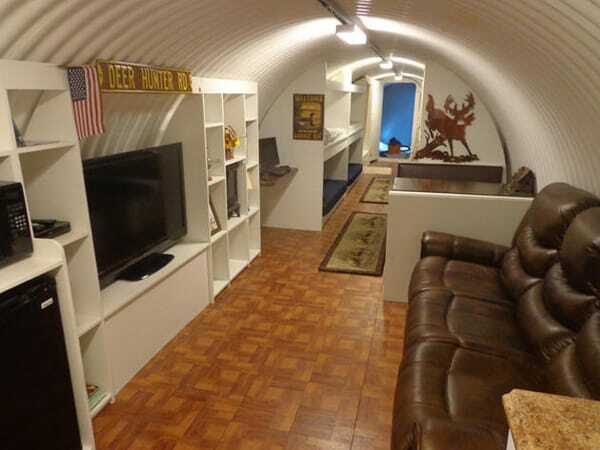 For less than $50,000, you can buy an underground bunker that will shield you in the event of a civil war, nuclear attack, or a zombie apocalypse. While 20 feet below ground, the Atlas Galvanized Steel Underground Shelter provides comfy deluxe shelter with complete amenities such as sleeping quarters, kitchen, living area, restroom, storage room and a concealed escape hatch. It also has solar panels and other external pieces disguised so that no one can find your fallout den. 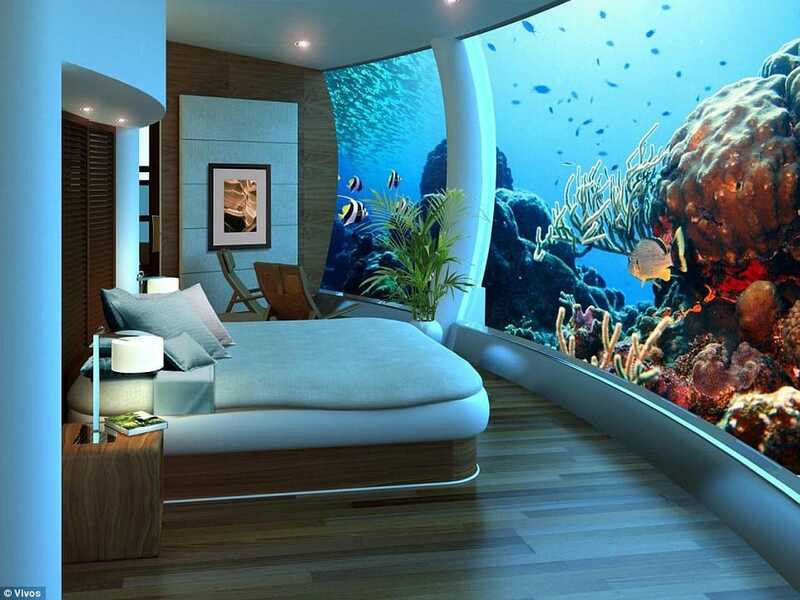 Vivos founder, Robert Vicinio unveiled one of the most luxurious underground bunkers that exist. 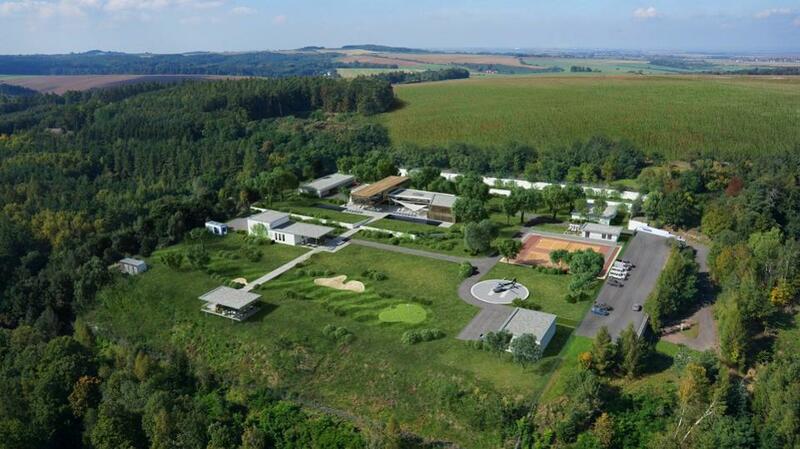 The entire facility costs $1 billion built for millionaires in the event of an apocalypse. Vivos Europa One can survive through chemical attacks, thermonuclear war, tsunami, earthquakes, and other disasters. The Vivos Europa One shelter, located in Rothenstein, Germany boasts lavish amenities such as grand swimming pools, gyms, theaters, restaurants, customized apartment units, outdoor service, and even a helicopter service. 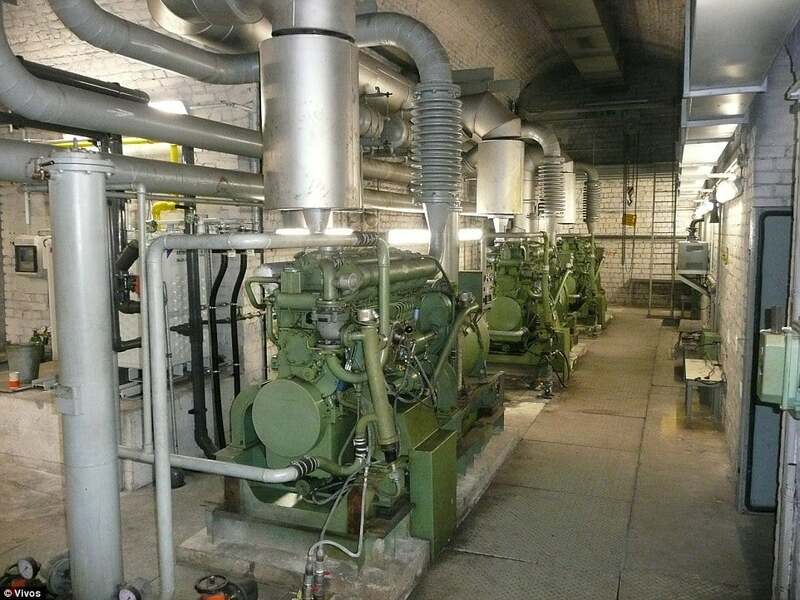 It also features its own roadways, railways, tunnel chambers, top-notch security system, blast-proof doors, self-contained water system, and power generators. Each family who purchased a unit will receive a 2500 square feet apartment unit with design based on their own specifications. It remains a huge question as to how much they need to pay to get themselves into this underground shelter. Sources say that families will need to pay for staffing, management, and other facility costs on top of the base sum for their unit. But no matter how much money they burn for living in this facility, it guarantees the safety and comfort of all family members. 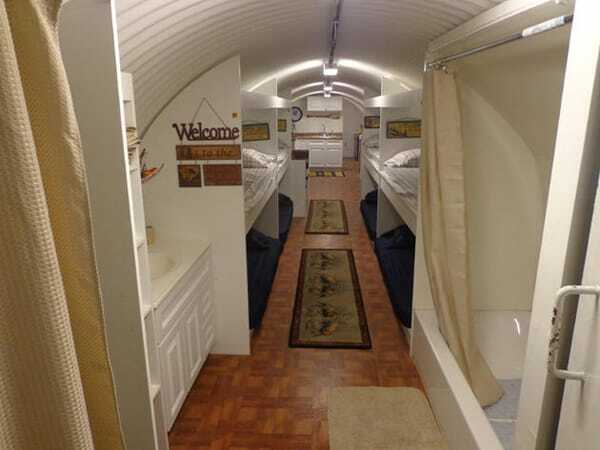 To ease your mind from the rising tension between nuclear-capable countries and worries of a civil unrest, investing a decent amount of money for this underground survival shelter may serve as one of your best life-saving decisions. At a price of $200,000, you get a Radius Engineering Survival Shelter with fiberglass shells that outlasts steel shells and concrete shells. 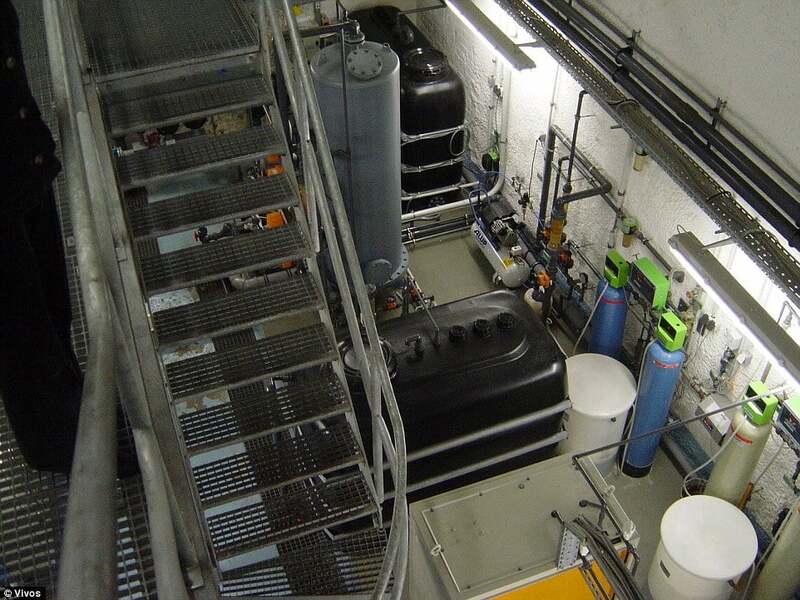 Apart from the extremely tough walls, Radius also build their bunkers with air purifiers with a UV-radiation sterilization system too. 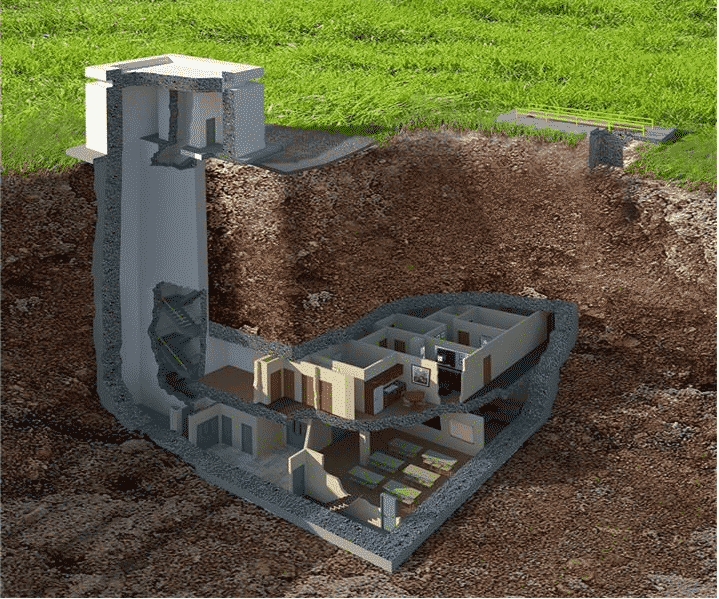 So if you feel like the world’s not getting any better, consider saving money to spend for this doomsday shelter project. A regular unit costs around $200,000 while an apartment for multiple families is around $2 million. 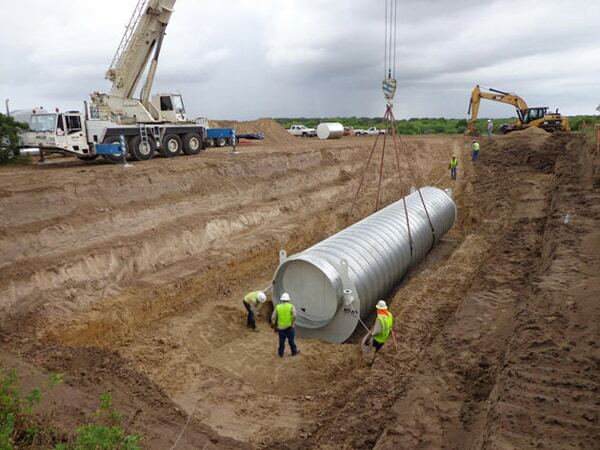 Radius has been building underground bunkers for three decades now. These are regularly meant for military uses but due to terrorist attacks and nuclear threats, the company created family models too. 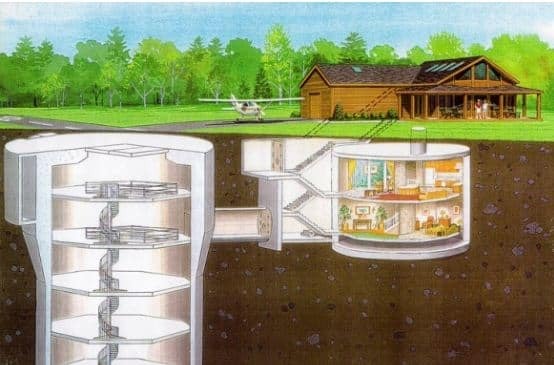 The Silo Home in Saranac, New York up in Adirondack Mountains makes another incredible underground shelter that will keep you alive when a nuclear bomb hits the big city. 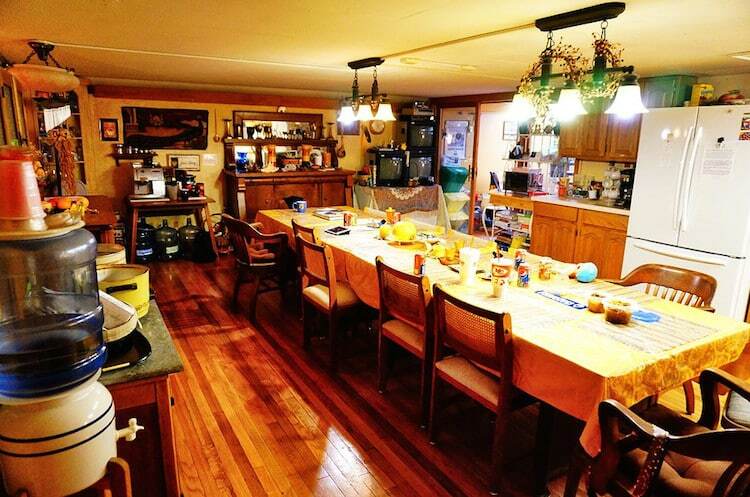 The property costs around $750,000 listed on the Saranac real estate. At the site, you will see a regular, cabin-like home serving as a decoy house. However, the real home lies underneath the closet. When you get to the decoy house, you enter this closet that will lead you to a blast-proof, 2000-pound steel door. 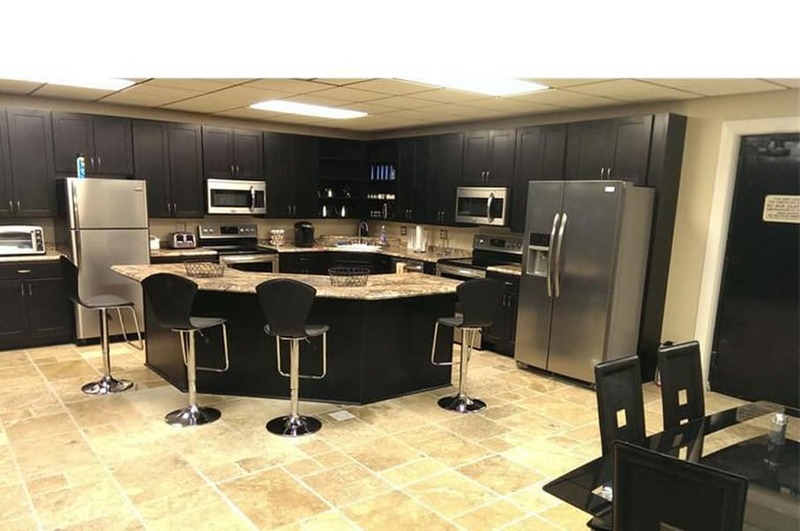 The above section of the command center covers a space of over 2,000 feet for the kitchen, and living area with a bedroom. 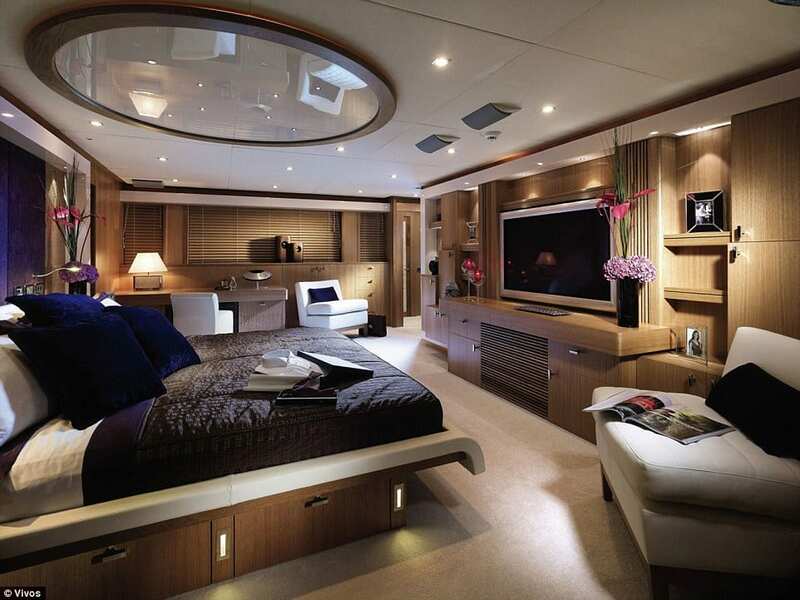 On the other hand, its bottom part is where you can find the restrooms and bedrooms. At the bottom level, you can access the deep silo measuring 185 feet where the Atlas F missile used to stay during the cold war. Although the living areas look normal, its window views are just a mimic of outdoor lighting. The Silo Home also provides luxurious amenities such as an enormous master suite, a marble-tiled jacuzzi, and a gourmet kitchen. The Grand Canyon provided enough thrill to adventurers who visited the spot. 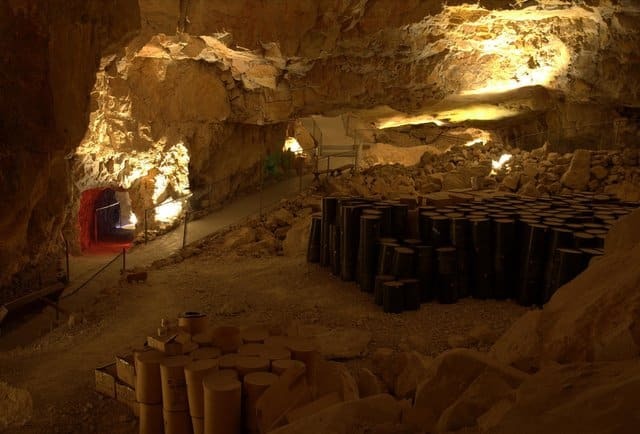 If ever you decided to sleep somewhere near, consider the Grand Canyon Caverns located in Peach Springs, Arizona that once served as a fallout shelter. In 1927, a woodcutter named Walter Peck discovered the underground caverns. Suspecting that the area might be full of gold, he bought the land and searched for the treasures. 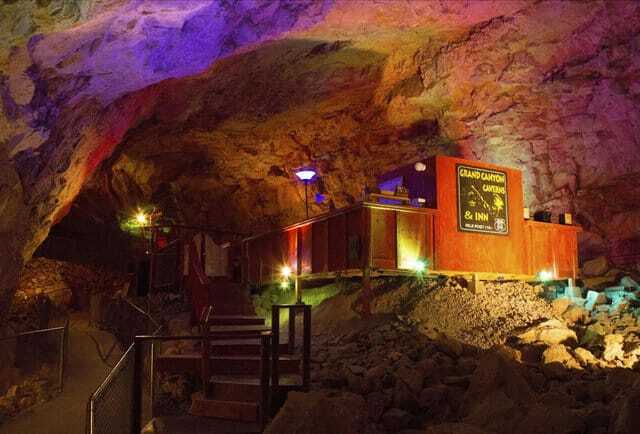 When he found out that the cave holds no piece of gold, he decided to turn it into an attraction and guided the first guests through the caverns. Many owners bought this land and they used the caverns for different purposes. Its most notable use was during the Cuban Missile Crisis where it housed an estimate of 2000 people. As of today, some of the relics or stockpiles remain in the caverns. A group of friends purchased the property in 2001 and turned the bomb shelter into a luxurious suit with 220 feet by 400 feet coverage. If a nuclear attack happens, it can still house up to 2000 people for several weeks. 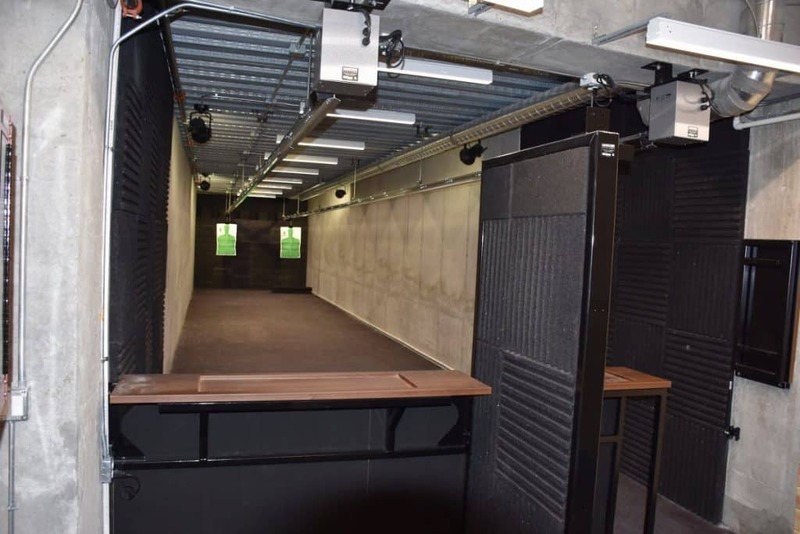 From a secret corridor, residents can access this underground shelter and shut the passage with a blast-proof door in just a minute. 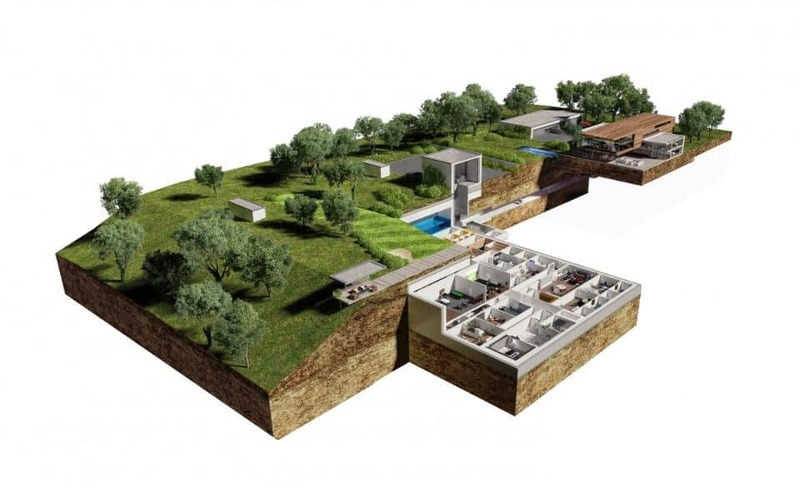 This escape mechanism of The Oppidum, the world’s largest known private apocalypse shelter, allows its residents to escape to the underground shelter and return quickly above the ground. 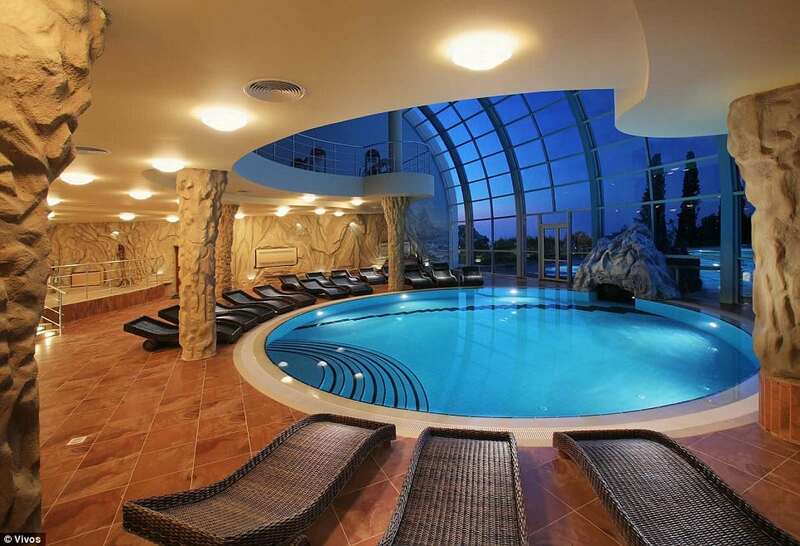 This luxurious underground compound has a total space of 77,500 square feet with 13 foot high ceilings. 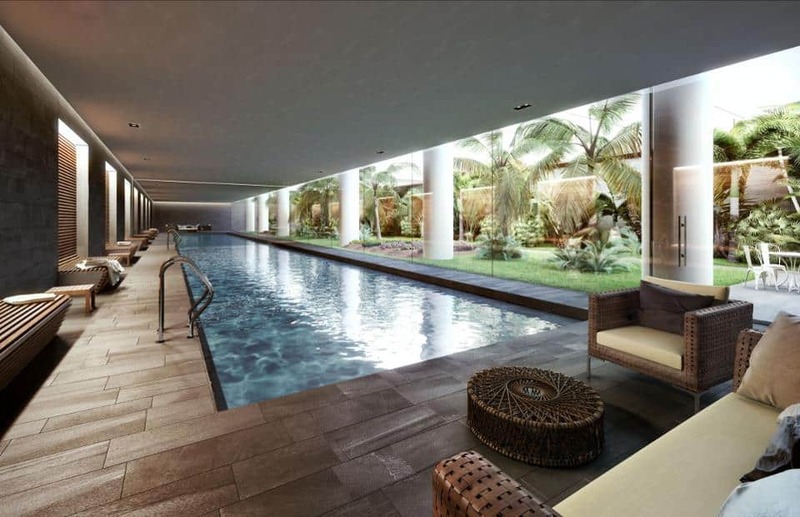 Some of its high-end features include a spa, swimming pool, cinema, library, and other leisure facilities. Apart from its defense against a nuclear explosion or a strong earthquake, its location plays a huge role on its security. The Oppidum is located in Czech Republic, a region surrounded by mountains. The place was never targeted as a subject for aggression. Geographically, any possible conflict will most likely stay away from Czech Republic or invaders may likely reach it at a later stage. By that time, residents and the owner of The Oppidum will arrive and have plenty of time to prepare. In Eskridge, Kansas, a family lives in what was previously a shelter of a four-megaton hydrogen bomb. 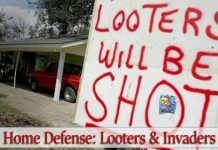 Because of this, their 47-ton garage door holds a tremendous defense that can withstand a doomsday blast. After investing some hard work, the site becomes a cozy underground home named Subterra Castle which will shield them from thermonuclear wars, harsh weather, earthquakes, and other crazy apocalyptic event. The Peden family, known as one of the first people who turned a former cold-war missile site into a livable home run a business called 20th Century Castles. It helps other people plan and build an underground shelter. The Subterra Castle covers 34 acres of estate, including an airstrip, and other facilities. 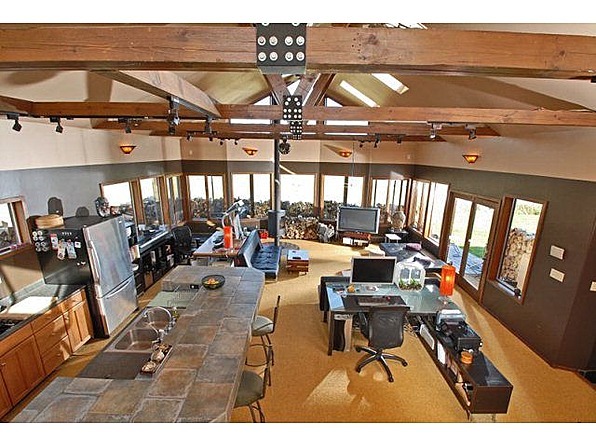 The silo which was bought by Ed Peden for only $40,000 transformed this former junk heap to a modern day castle. The complex tunnels of the site stays 10-15 feet underground. The family just needs to make sure they stock up with emergency food and other basic needs, then they can sleep well knowing that they are safe from almost everything.